We are chili lovers. I could probably eat it weekly. Usually, I don’t use a recipe to make my chili. I just use ground beef or turkey, a mixture of beans, vegetables (onions, peppers), tomatoes, and spices. 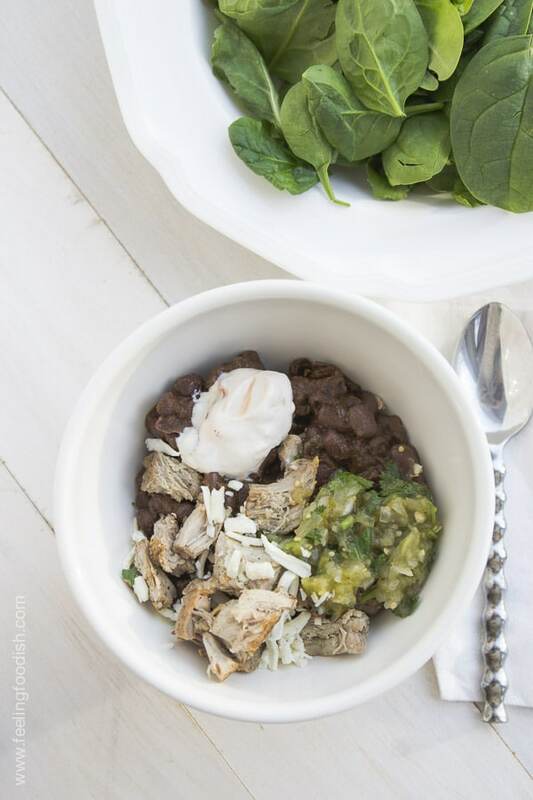 Saute, then dump it all in the crock pot – easy! 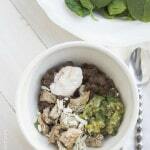 This recipe caught my eye though because it was a change from the norm, and because you can customize it according to your tastes since the meat is not mixed in; rather, it’s added as a topping when serving. I thought this would be a good thing since I’m not the meat eater that my husband is. Now, I’m not going to lie. This chili is a lot of work. Errr, at least I think it was. Perhaps it wouldn’t have been had I prepared some of the components ahead of time. You can make the chili up to 3 days in advance, and the salsa verde up to 2 days in advance. Will definitely do that next time! Add chili powder and cumin and stir to combine. Mash some of the beans and continue cooking until creamy, about 30 more minutes and add additional water if chili is too thick. While still hot, place peppers in a ziploc bag, seal, and set aside for 20 minutes. After all meat has been cooked, add chicken broth to skillet with meat, cover and cook on low for about 30 to 40 minutes.